I’m thinking that when I get this chameleon drawing is all finished up, I’ll try to increase the saturation a bit to help keep him bright and colorful. Right now, he’s looking a little washed out in a few places. What do you think? Should he be brighter? 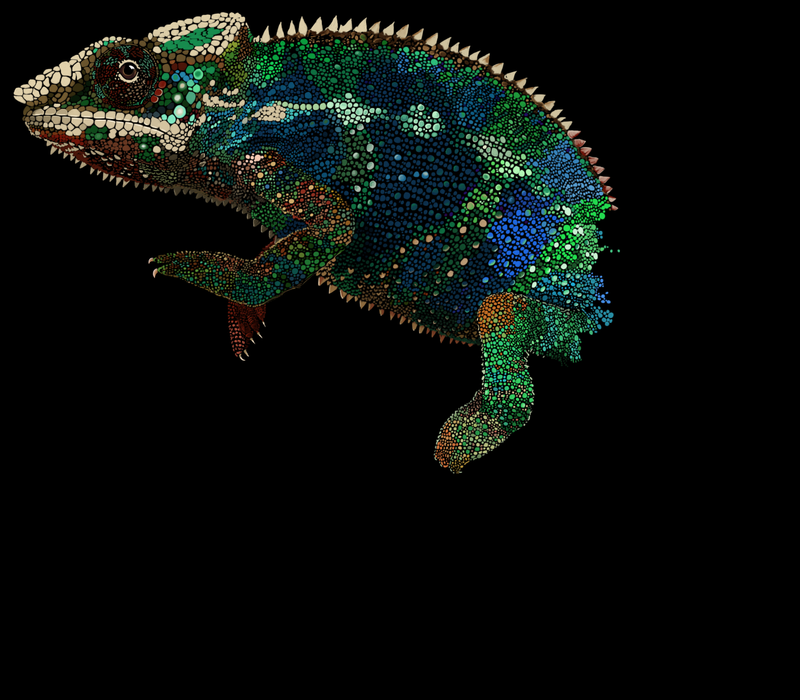 I didn’t spend much more than an hour this morning with my chameleon drawing. I had a lot of trouble sleeping last night, and so at around 6am I was up and – after I had some coffee – I got working on my Chameleon. I worked on it for about an hour or so. I’m feeling a little groggy this afternoon, likely because I didn’t quite get enough sleep, so I don’t really have anything super insightful to talk about. Not to mention I’m not at home right now. With it being Easter weekend, I just haven’t been home. You know, visiting with family and enjoying delicious food and all of that. I’ve always found it hard to find my focus when I’m away from home. When I’m out of my comfort zone, if you will. Perhaps it’s the same for most everyone. Easily distracted when you’re out of your comfort zone. Okay, that will do well enough for today. I won’t drag this on for too much longer. Besides, dinner is minutes away from being served! I hope everyone had a fantastic weekend, no matter what they celebrate. 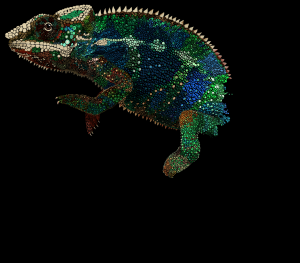 More of my chameleon drawing to come in the near future! Yup yup, a tail and a twig to stand on.